Some years a go, a bishop by the name of Thomas Magee was visiting our diocese, speaking to various chapters of the Legion of Mary, on a variety of topics related to Marian spirituality. In one of his talks, he recounted with great fondness his days as Secretary of Pope Paul VI, when Bp. Magee served the Holy Father in Rome. Every morning, then Msgr. Magee would come by the Pope's apartment in the Apostolic Palace in the Vatican and walk with him over to the Holy Father's private chapel and serve Mass for the Pontiff. About a week after he began serving the Pope's private Mass, Pope Paul VI told Bp. Magee that from now one, after the Pope offered Mass with Magee serving, Magee would offer Mass and the Pope would serve his Mass. When this idea was first mentioned to Magee, he was flabbergasted - the thought of the Pope - the Vicar of Christ - serving as an altar boy for a mere priest was unheard of. But that's the way the Pope wanted it and that's the way Magee and Paul VI would begin each of their remaining days in Rome. This story is reminiscent of the scene that we have before us today on the solemnity of the Baptism of the Lord. 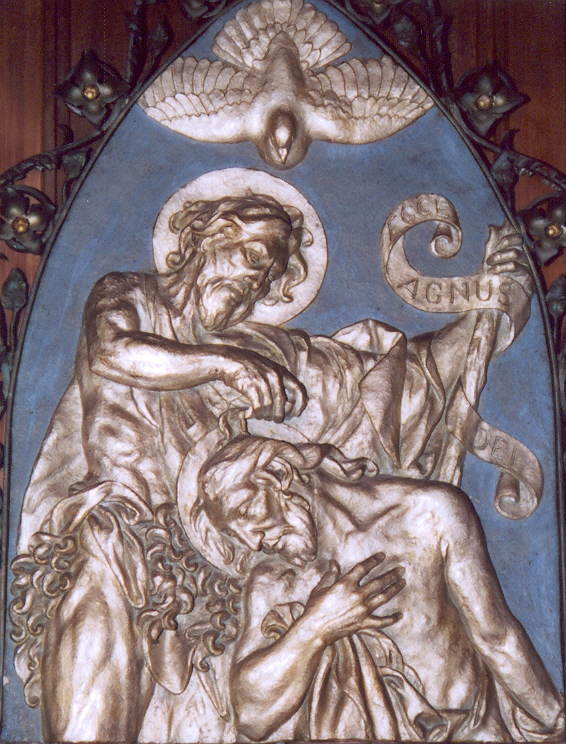 St. John the Baptist does not deem himself worthy to baptize our Lord and yet our Lord insists that this be done in order to fulfill the prophecies about Him. Given John the Baptist's disposition - his total deference to our Lord and his total life of servitude in witness of Jesus, the idea of baptizing the very person whom he was created to herald and serve seemed unimaginable. But that's the way the Lord wanted it and that's the way it happened on the banks of Jordan River. The Baptism of the Lord is a type of a second Epiphany. Last Sunday, we celebrated an event that took place nearly 30 years before the events of today's Solemnity. Last Sunday, our Lord was believed to be the age of a small child; today, he once again manifests Himself but this time - as an adult. Our Lord's manifestation as the Son of God is made known through the voice of God the Father and the appearance of the Holy Spirit in bodily form like a dove. This is a very significant moment in the history of God revealing Himself to man - not only has God taken upon Himself our human nature; now he has elevated baptism to the level of a sacrament. I've always been intrigued by the fact that our Lord chose to be baptized even though He didn't need it. It's not as if our Lord suffered from the effects of original sin. In His humanity He was perfect and so He had no need to be cleansed and regenerated in the waters of baptism. So, we ask, "Why did our Lord chose to be baptized?" St. Maximus of Turin, writing in the late 4th century tells us that Christ was baptized, not to be made holy by the waters of baptism, but rather, to make holy the waters of baptism and to purify these waters with His body so that all who would be baptized in the name of the Father, Son and Holy Spirit would be cleansed of original sins and be made adopted sons and daughters of the most high God. Today's Solemnity marks the official end of the Christmas season. It's quite appropriate that it serves as the other bookend of Christmastide. St. Maximus tells us that at Christmas, Christ was born a man. 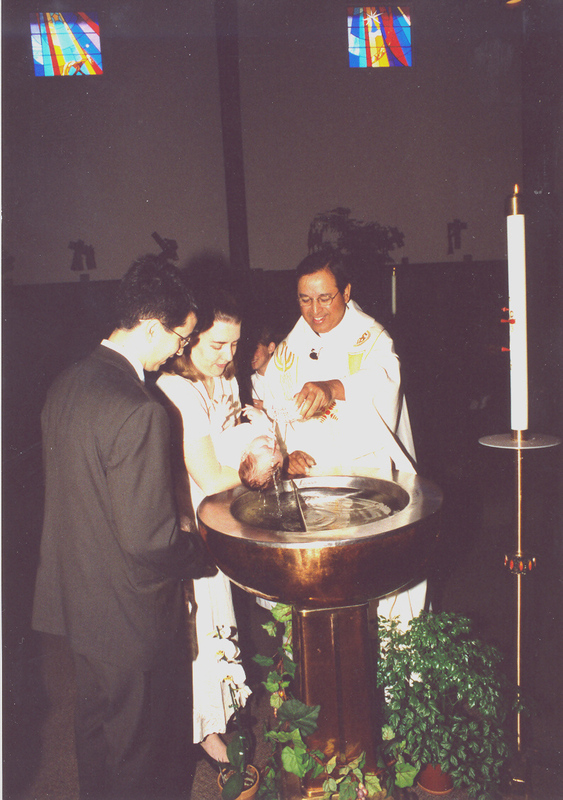 At His baptism, be is reborn sacramentally. When Christ was born, the Blessed Mother held Him in her arms. At His baptism, it is the Father's voice of testimony that embraces the Son. After His birth, Mary held our Lord up for the wise men to see. At His baptism, the Father testifies to Jesus' divine Sonship who should be worshipped by the whole world. The Catechism states that the Holy Spirit who first hovered over the waters of the first creation of the world recorded in Genesis descends now on Christ as a prelude of the new dispensation in the order of grace - the new Adam, Jesus the Lord, the center of the universe. As profound as this may be, it is not enough for us to simply admire the events of the Baptism of the Lord and its significance. The event has serious and relevant and very practical implications for us as well. Like most parish priests, I perform a fair share of baptisms every year. Almost all of those that I baptize are infants, like many of us were when we were baptized. In spite of the fact that most adult Catholics have attended a baptism, I find that it is one of the most misunderstood or not-understood sacraments that we have and this is cause for concern because baptism is the first and most necessary sacrament for salvation. So, when I prepare couples for the baptism of their child and when I preach at baptisms, I like to open up for all those present, exactly what happens. I think that if more Catholics and more Christians understood and appreciated what happens at baptism, more of us would take our faith lives more seriously and invite others to do the same. At the moment of baptism, the baptized is washed free of original sin, a sin inherited by all human beings due to the Fall of Adam and Eve recorded in Genesis. This is not a sin committed by one's will - it is a sin that is a consequence of our first parents' disobedience. Due to original sin, there is evil and disorder in the world and the entire created order is thrown out of sync, as we witness when natural calamities occur. This washing away of original sin means that we are justified in God's eyes - that is, we are now "save-able." It does not necessarily mean that we will go to heaven, unless of course, the child baptized dies before the Age of Reason, usually believed to be about when they are 7 or 8. For most of us, however, who live on into adulthood, baptism opens us up to salvation because we are adopted as sons and daughters of the Father. Baptism does not automatically assume that we are "saved." Yes, Christ's death at Calvary redeems us but salvation will only be ours when we meet God face to face, and that does not happen in this life, but only after death. Granted, if an adult is baptized, they are washed free of both original sin and all of the actual sins they have committed. Finally, another significant change that occurs at baptism is the infusion of the grace of the Holy Spirit into the soul. This is not quantifiable and it is not obvious to the eye but it occurs mystically. When the Holy Spirit is poured into the life of the baptized, several things happen. First, the baptized receives the virtues of faith, hope and love into their soul. These are called theological virtues because they are directed right at God. So, before any individual can authentically say that "I believe in God" or "I trust in God' or "I love God" they must first receive the capacity to do that and that comes through baptism. How often do you hear people say, "He has great faith." Any person's active use of faith is a response to the gift at baptism. It's not as if any of us generates faith on our own without God first giving us the grace. Yes, I suppose there's a natural faith that man can generate but even that finds its source in God. That's why it drives my crazy when I hear successful individuals say, "I just believed in myself" or "I just believed in my team." I wonder if such persons even recognize that any good in the world is but a participation in the ultimate good - the life of God, living and breathing in the soul. So, before we think of the virtues of faith, hope and charity as MY response to God, we ought to think of them as responses to God's invitation to us which He extends in baptism. In addition to faith, hope and love, every baptized person receives all of the moral virtues as well. They are gift in potency, waiting to be actualized. That's why parents undertake a huge responsibility when their children are baptized - they are charged with drawing out the gift that God has given, like a sculptor who sees the statue in the block of stone but needs to chip away at it to pull out the statue in potency waiting within. Given this reality of baptism, we are all compelled to stop and ask, "How well do I live up to the high dignity given to me by God that I received at baptism?" and, "How well am I helping to form those around me to be the best son and daughter of the Father that they can be?" and, "What have I done to encourage those who are not baptized to receive this sacrament?" Let us pray that we never lose sight of the fact of the significance of our own baptism, which Christ deigned to elevate to the dignity of a sacrament by His own baptism. May the Blessed Mother's example teach us daily how to respond to the great gift of faith, hope and love that we received at baptism and that she received in a most excellent way in her Immaculate Conception. In this way, we can join the echo of the Responsorial Psalm fully confident in the Lord when we exclaim, "When you send forth your Spirit, they are created, and you renew the face of the earth."